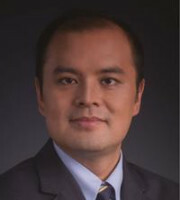 Christopher Shen joined NTD Intellectual Property Attorneys after graduating from Renmin University of China in 1998. Afterwards, Mr Shen earned an LLM in intellectual property law from the George Washington University Law School. Mr Shen has been qualified to practise law in both China and New York State since 2000 and 2005 respectively. Mr Shen concentrates his practice in IP strategy counselling, foreign-related IP litigation and administrative enforcement. Mr Shen has more than 17 years of experience representing many famous domestic and foreign companies in lawsuits and arbitrations relating to patent, trademark, copyright and unfair competition disputes. Mr Shen has been invited to attend and speak at international IP symposia focusing on China’s IP protection, where he has established extensive connections with foreign IP attorneys. In 2012, Mr Shen was selected as an expert in the overseas IP protection expert database of the Ministry of Commerce of China. In 2014, Mr Shen was recognised as one of the high-level IP talents by SIPO. in 2014 and 2015 he was named as one of the Top 40 IP Stars by Managing Intellectual Property, particularly in the fields of trademarks and copyright. Mr Shen was the representative of Arrow and initiated a trademark infringement and unfair competition suit against a company in Tianjin. Hewon the lawsuit, which was selected as one of the Top 10 IP Cases in Tianjin. He also represented the Iris Ohyama Group and initiated a trademark infringement suit against a Chinese enterprise. Hewon the lawsuit, which was supported by the Supreme Court. Mr Shen was the representative of RIMOWA in an unfair competition suit against a Chinese enterprise. Hewon the lawsuit, which was selected as an excellent case by the Trademark Association in 2017.